Hey hey! How are you guys doing? Wait! Let’s first talk about how much love you guys showed my post on Instagram hacks but y’all just walked past the post on using social media for research and analytics. 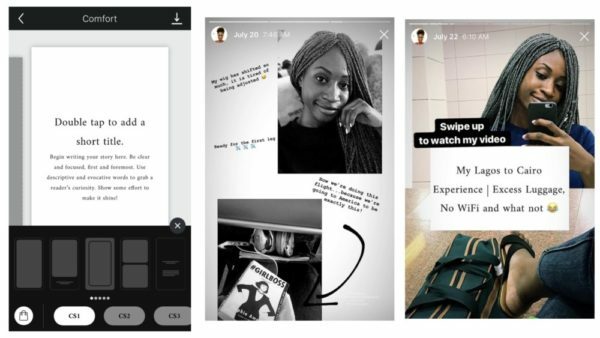 Okay, since we’re finding our vibe together, let’s talk about something I’ve gotten lots of questions about – how to up your Instastories game! I’m starting with this because I think it’s my absolute fave at the moment! It’s simple to use, has really cool templates and nice fonts. Best part is that you can mix videos and photos in the same collage. There are 25 free templates to play around pictures, videos and various fonts. If you want to be Instacool, this is a must-download! I particularly love it because I don’t have to do much so I can use it on the go. I used to live on InShot before I moved my house to Unfold because the later allows me to do video collages (sorry InShot). On InShot, you can zoom in and out or place your photo/video at any spot, fill the background with a solid colour, pattern or image. The editing options for InShot are great, with various filters and effects too. When editing a video, your text can be displayed at different points of the video as shown below. You know what, I’m putting InShot back on top of my list, that’s even what I use to create all the collages for my blog posts! This is great for consistency because you just can’t run out of templates on Canva. I use Canva a lot for work but not primarily for Instastories. However, I go there whenever I need a quick template to fit something I’m thinking of. For example, you can type travel in the search bar and find cool templates you can readily use. You can also upload your own photos, add icons, stickers and text. Sometimes Instagram is just perfect. 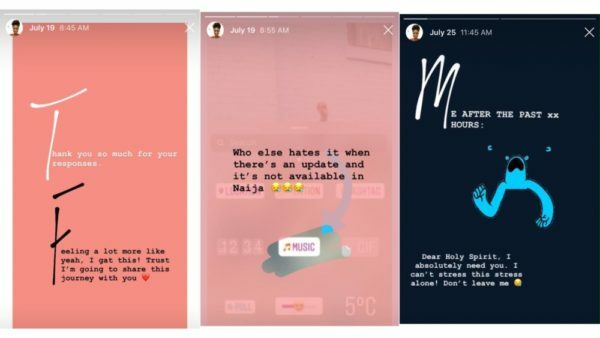 Find the best lighting, work your angles right, play around with the fonts, don’t be all over the place with colours, use GIFs (there’s a search bar that lets you find appropriate GIFs easily) and use the location tag too (this will not only get you more views, it will add more context your stories). If you check my post on Instagram hacks, you’ll find how to create really cool stories. Who says you can’t use more than one app for your stories? Keep playing and creating. For example you can create a video collage in Unfold and use the video effects like glitch and pixels in InShot. 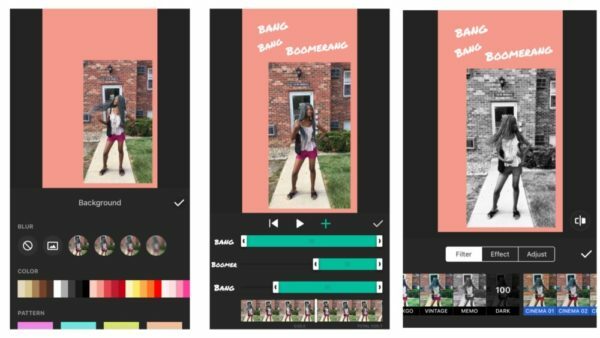 There are a lot more apps to create really cool Instagram Stories (I might try HypeType soon cos the hype is building up strong!) However, I find these 3 apps very easy to use and quick to get around! Enjoy posting! Do you use any of these apps? How do you like them? 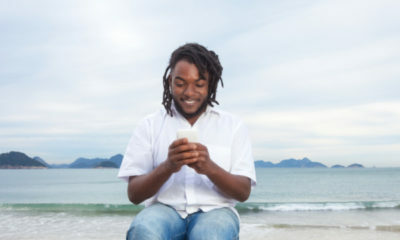 What other apps do you use? If you’re not already following me on Instagram, make sure you do! I’m thinking of making video tutorials on how I use these apps….should I? 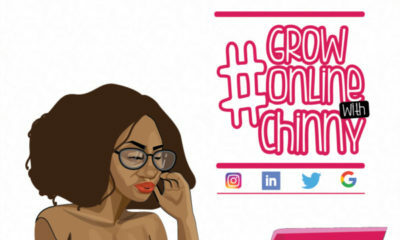 Make sure you also check out and subscribe to my social media blog here. Chin Chin, I won’t give you any tourism hacks because you didn’t inform me before going to slay on London bridge. Lol. Just kidding. Hope you’re doing well? Thanks for yet another apt write up on using Instagram for business (Arrrg). Yeah, I think almost everybody uses Canva – CoCo Creator’s logo was designed on Canva :-). And your stories on Instagram? Oh, I’ve missed keeping up with them! But let’s save the gist for the DMs, shall we? P.S. – I’ll be sharing a usual and will also check out your blog. 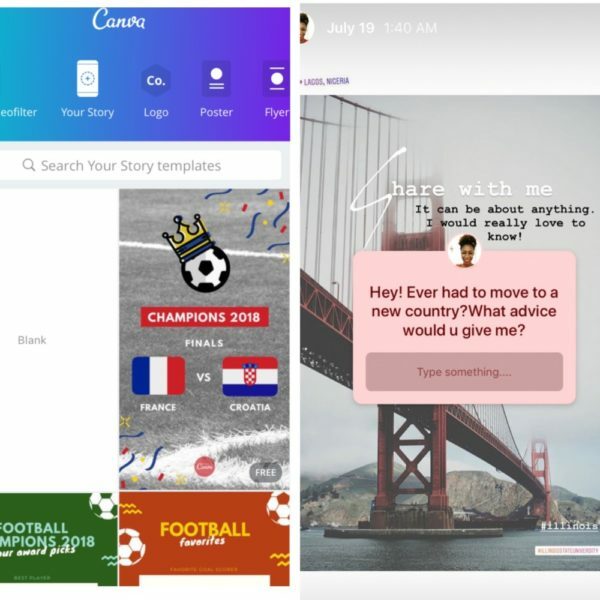 I use unfold, inshot, i have the canva app but dont use it as much. also hypetype is good. Thanks for putting me on. I use to wonder how Instagram influencers were able to these things.